Lighting series with hi-fi inspiration: for Normann Copenhagen, the Danish designer Simon Legald has created the clever lightning series Amp. Glass and marble take care of an impression of visual fragility and sensuous heaviness. An appearance that is nostalgic, yet modern at the same time. 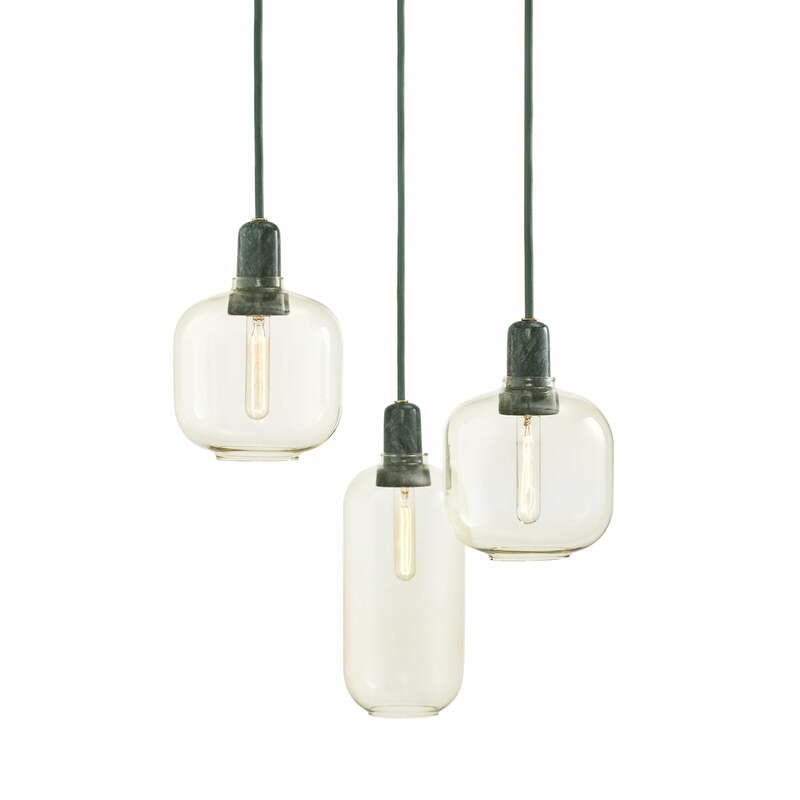 The idea for the shape of the Amp Pendant Lamp came when the designer was restoring an old 1960's radio at home. While searching for spare parts for the radio, he was captivated by the glow that came from the tube amplifier. The simple oval shape and the glow of the lamp is an obvious reference to this, just like its name Amp short for tube amplifier. The proportions of the Amp Lamps by Normann Copenhagen have been carefully designed to ensure the right balance between hard/soft and transparent/opaque. 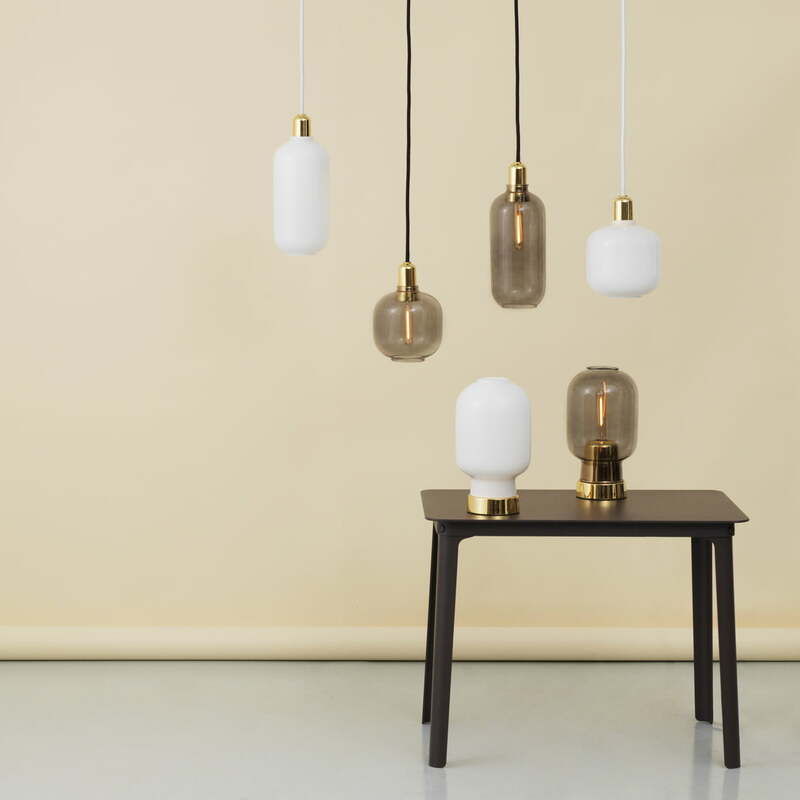 Normann Copenhagen and Legald have highlighted the functional details, for example the way in which the shade of the Amp Pendant Lamp rests on its socket. The connection of the two natural materials create an interesting contrast between the transparent and light glass and the massive, heavy marble. Simon Legald says: "One can't always define where an idea for a new product comes from. But this time the inspiration was drawn directly from radio and hi-fi equipment. This is clear in the design of Amp. There is something special about the round, transparent shape of a tube amplifier that I thought would translate nicely into a lamp. I opted for the same type of glass used for an hourglass, as the shape had to be curved and narrowed in. To counterbalance the delicacy of the glass, I used marble. I think that the two materials work well together." The Amp lamps are delivered with matching textile cable. To replace the light bulb, the lampshade can easily be removed without any tools. 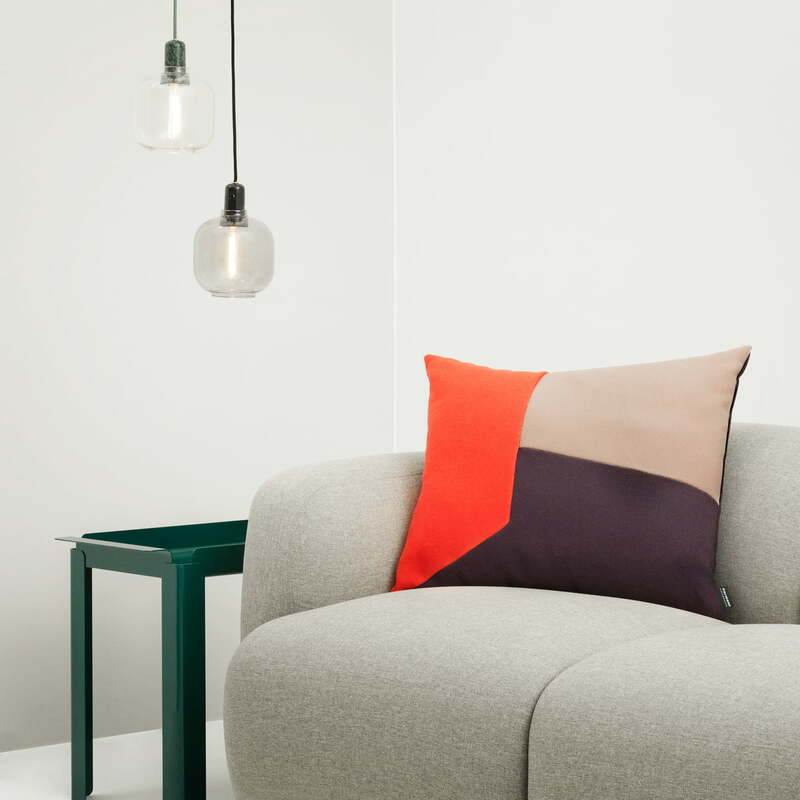 The Normann Copenhagen Amp is also available in a dimmable version Amp Table Lamp. 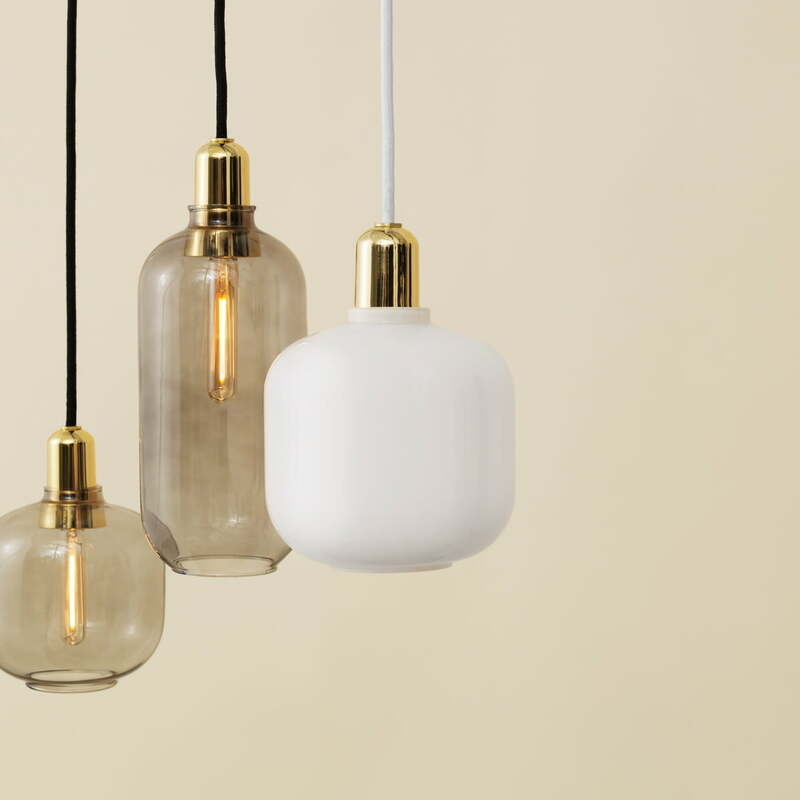 Both variants are available with a golden or smoked lamp shade. 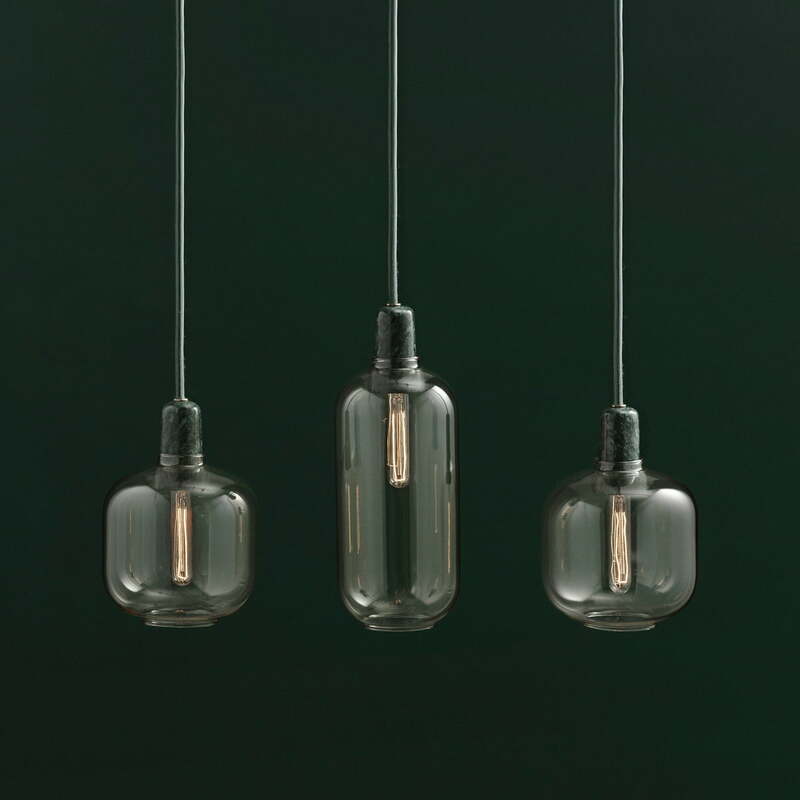 The Amp Pendant Lamp is available with a socket in an effective black marble or in a glamorous jade green which highlights the natural elegance of the material. 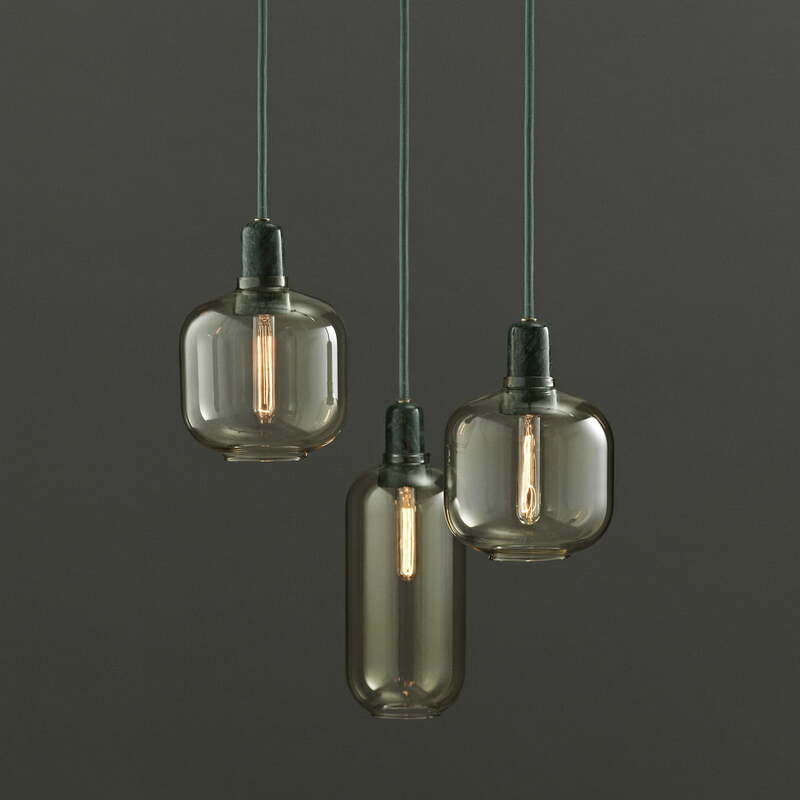 Lifestyle product image of the Normann Copenhagen - Amp pendant lamp as table or pendant lamp: The Amp lamps by Normann Copenhagen are available either as a table or a pendant lamp. 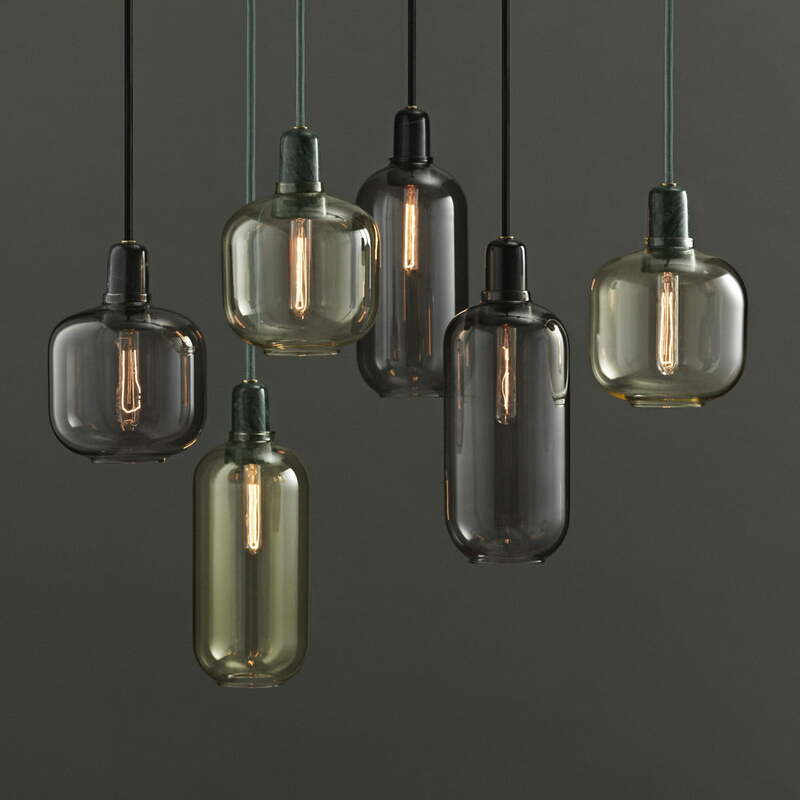 Lifestyle and group product image of the Normann Copenhagen - Amp pendant lamps: Several Amp lamps arranged in a cluster becomes a real eye-catching feature in any home.